I asked my spirit crew and they told me to "go within to find the answer." I didn't particularly like that response. I remember asking them if I should relax the age limit for my Intuition Playshop and allow a young teen to attend. Their reply was "do what feels best for you." BUT I wanted them to tell me what to do, not make me work for the answer, but you see, guides don't really do that. They don't TELL you, they guide you like a personal Life Coach to find the answer for yourself, an answer that comes from within. That way it's more meaningful and true to you. Have you noticed that? 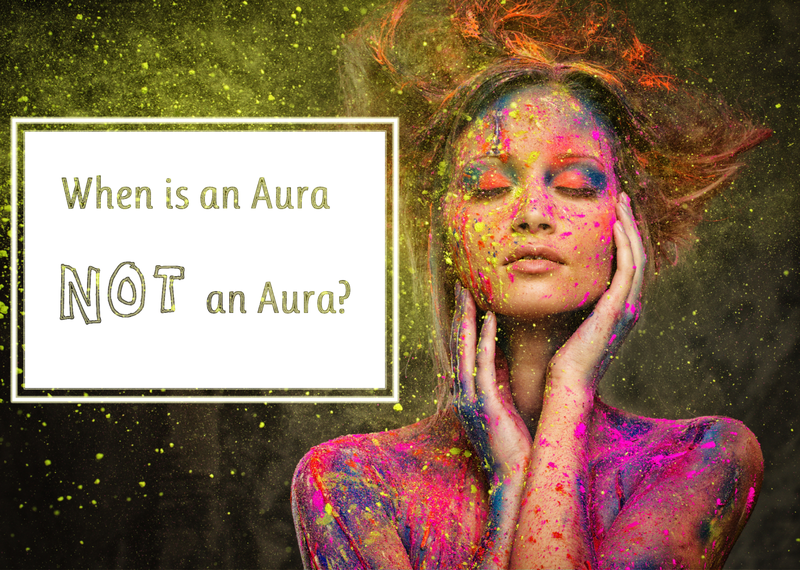 So I mulled over the aura question starting with thoughts of what I see auras around. I pretty much see auras around everything to a degree. Just as I wrote this I hovered my hand over the salt pot to feel it's energy and was promptly reminded that some things have energy because they absorb the vibrations of the owner. The salt pot has an aura but it doesn't flash the kind of colors I see in a living aura. It's more like a pattern of energy a bit like a sewing pattern that would be the same for every salt pot with this design and not emanating energy as a result of self awareness or consciousness. The difference is in the energy its absorbed from whomever uses it. And then it hit me. EVERYTHING has an aura, so when would someone see an aura when it's not really there. I found myself tuning into the third eye. We generally feel auras and then see them, it's easiest to feel them first. When you walk into a space you sense its energy, you feel if it's safe or hostile, heavy or light, positive or negative, long before you see anything. Your energy actually goes ahead of you to sense the space before you physically get there. So an aura wouldn't be an aura if you saw something that you thought was an aura but actually wasn't. The way you'd know the difference would be through your feelings. If you could feel the energy then it would be an aura, but if you didn't then .... drumroll .... you guessed it, it wouldn't be an aura. As an answer this is not very satisfying is it. So I needed more. It occured to me that people who get migraines often see auras, but they're not actually seeing the spiritual aura, they're experiencing a symptom of a migraine attack. But this wasn't the answer to the question either and even though this its a great answer (at least I thought it was) it's not the one my guides were guiding me too. So I continued to allow my consciousness to direct me to find the answer and there it was, I just needed to stretch a little further. Sometimes we are led by our guides through a series of stepping stones designed to get us to the destination while experiencing the joy (or frustration) of the journey. So here's the answer, are you ready? When you look at light it can make an impression on the retina of your eye that creates an afterimage, it's called photo bleaching. When you look away from the source you still see the light. It's a similar effect to when someone takes a photo of you with a flash and you see spots afterwards. That afterimage is what an aura can look like. You can get this same effect when you look at someone on a stage with bright lights. You might think you're seeing their aura when you see a light around their head and shoulders - and you may well be seeing their aura - but you could also be seeing an afterimage because of the bright lights. The key is what you're feeling. But that's a whole other story. This was the answer. My guides did a happy dance when I got it and I learned something along the way. Do you see auras? 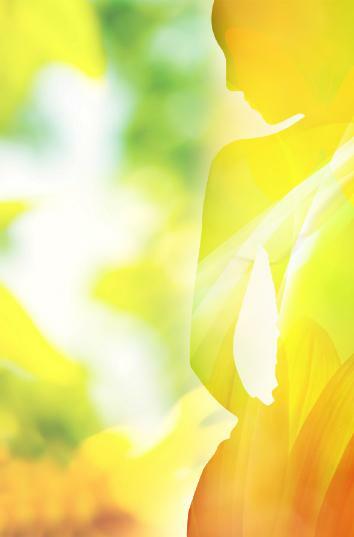 How do you know when you're seeing an aura? Let me know in the comments below. alison desnousse quite a few years ago, i was on holiday in the seychelles visitng my in laws.we were sitting outside talking, it was night time.i looked across at my brother in law and i could see his complete body surrounded in a darkish blue colour, it was like there were two of him, i can sometimes see aura around roses, and the white sort of colour around people but havent seen any other colours sadly. Amber I can remember telling my mother at church about how beautiful the green glow around the priest was. I never saw anything like it before. That's when I realized that not everyone could see auras like I can. Karyn Thank you, this was wonderful. I don't see auras but i feel energy.....all the time. sometimes it's soft and pleasant and other times its rough. i feel the rough quicker too. Belinda I have never seen an auras but, I am sensitive to feelings, vibes, situations and thoughts. philomena U suppose am empath. I feel energy very strongly. When some is negative or place has negative vibes I feel. Annette I cannot see auras. But I would like to share a short excerpt of my experiences with this… Many years ago when I was desperately looking for information and help regarding my strange awareness of life… I read the books of Barbara Ann Brennan and I got so excited, knowing that her explanations about the different layers of the aura etc. could help me get answers… and so I was looking for a therapist in my region (South of Germany). It was long time before the internet was found… Sadly I could not find one but started to see Reiki people, that all told me that they can see the aura. The first woman I met wrote even books about it that resonated with me and I had to wait 6 month (!) for a session… then later I spent a lot of money and hope with other Reiki people and they told me all sorts of things they saw in my aura – nothing really resonated with me or helped… Then I spent years with clearing past lives that felt real but the healing relieve lasted always only short time… Only a couple of years ago I had a reading and this woman said that I am a crystal child (pioneer) and that there is additional a frequency in my aura that she has never seen before…and this was a kind of late breakthrough and I could cry my years of burden out (also these diverse Reiki people put on me and abused me)… Recently I talked to a few people who said, that I am the first time here on earth and the tons of past life clearings might be from the ancestors and of the mass consciousness… Maybe I have chosen/created this long-lasting painful unfoldment of my souls essence (that still goes on) but I just want to show that the concept of “seeing the aura” like any other concepts (past life, karma, starseed etc...) is very much to handle with care and responsibility. (maybe the observer is always co-creating...). Elizabeth I love your most uplifting and joyful work. Much Love to you. Annette. Carol Auras have colors that morph and change with the person's thoughts. Also, auras have textures, for me. Energy given off by objects is much different, as it is static, and tends to be one color, whatever that is. Plants, trees, rocks, etc have a different quality to them, and they also have auras that shift and change shape. I learned, over time, how to interpret the patterns I saw by comparing the visual pattern I saw with any feelings I perceived at the same time. I also learned to look at facial expressions, body language, and the qualities of movement of the person I was looking at. It also helped me to study the vibrational qualities of individual colors, and learn what types of vibrations they were associated with. I am visual as well as empathic so this is what worked for me. Also I learned that auras are a type of layered dimensiinal holograph-somilar to a multi- layered oil or water color painting. As one faces a person or object the colors to the person's right tend to be about things that happenef in the past, and colors and objects to the person's left ate about possible future events. Shirley I used to see auras when I was younger but the ability seems to have left me. I am very sensitive to energy and am gifted in my ability to locate and work energy in an area of disease. I can also intuit for those who are in need of direction or encouragement. Otis always such a blessing to bring hope and encouragement to those who are discouraged. Barbara If I look away from an aura, it doesn't follow - I no longer see it. An afterimage moves with my eyes. Kathleen I am sentient, I came into the world that way. As I grew up I became an empath. I sense energy, and feel others distinct soul energy. That energy is so beautiful, I am always in awe of being able to stand there and take in another soul. This is easy to see in children, their soul energy is blurred with their human energy. Observing animals is another way to feel the omniscient energy of our soul creator. For me, seeing actual colors around a person is just not needed, so it has not been an intention, but I am very aware of what each color means and use colors in other ways in my life, I could not think about my chakra's without seeing its color too, and I chose the right colored crystals, etc. for healing. When I am connected to a soul energy I am able to spontaneously channel for them, things out of the clear blue sky, but very much meant for them. It's often very poignant, and goes right to their core, and in the process they rarely question what happened, if only to say, "I can't believe you just brought that up, my husband and I were talking about that last night". I have learned a lot about colors, and auras that you see, not just feel, from Elizabeth, and you know right away that she is a caring and loving expert. I am open to all the ways to "see", for myself and to help me with others. Sasha I can walk in to a room and sense if there is an atmosphere,like if there's been an argument,the first council house I moved in to as soon as I walked through the front door felt like some one had died there, a few days later I found out that an old lady had in fact died there.. The 1st time I saw a ghost I was 8/9 years old it was at school and my grandad had died recently,so a teacher took me to the side and asked what was wrong? When I told her was told it was probably just my imagination as I was grieving,my mum told me the same thing, I was not allowed to talk about this to anyone or people would think I was cracking up and that the yellow van would come and take me away and then I'd be put in a straight jacket.. I thought I waswas an empath amongst possible other things but I'm not sure any more, there are times when I just seem to know things,and don't know how, I actually watched America got talent judges cuts the other day,annd out of 7finalists I guessed at 5 and got all five right how? candice I usually get a feeling when encountering others. Susan I have seen auras for as long as I can remember, but no one could tell me what it was. As an adult a minister told me that was how I perceived the "spirit". But the more I searched spiritual studies ("new age") I finally discovered that it was auras. I see them as gold or white light. I have never had migraines, so I know it hasn't been that. I was confused when I once saw a dark grayish black aura surrounding a person. I have not been able to find any explanation as to what that meant. Any ideas for me? Alexandra I see a bluish line around the outline of people when they move - it follows them like a ghost impression. Is this the beginnings of seeing energy fields? I also see it around objects when they are moved or when I'm moving past them. This occurs face to face, as well as on tv and in movies. Has anyone experienced this? I'm wondering if maybe it's similar to the migraine symptom (although I don't get migraines), and it's to do with something in my brain. Victoria Kaloss The colors are brighter and vibrant and sometimes I see/feel impressions of loved one's and guides. Louise Nadeau It's the colors that are more vibrant and glowing....like when you do un astral travel !!! !